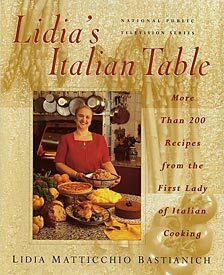 In this companion to the National Public Television Series, Lidia Bastianich shares her warmth, expertise, childhood stories and 200 authentic Italian recipes. Lidia’s Italian Table is overflowing with glorious Italian food, highlighted by Lidia’s personal collection of recipes accumulated since her childhood in Istria, located in northern Italy on the Adriatic Sea. Hearty and heartwarming Italian fare is what Lidia does best, and each chapter is filled with dish after dish infused with Lidia’s warm memories of a lifetime of eating and cooking Italian style. This gastronomic adventure is more than just a cookbook: it is an exploration into the heart of Italian cuisine. And, one couldn’t ask for a better guide in the kitchen than Lidia. They don’t call her the “First Lady of Italian Cooking” for nothing. 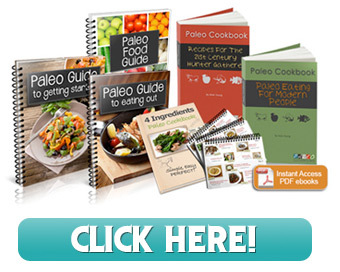 If you love the hearty dishes of Italy, and already know the basics, this collection will give you plenty of new dishes to add to your repertoire.